Jenn Heritz made 10 kills to help the Penn volleyball sweep past NorthWood, 25-13, 25-18, 25-18, on Tuesday, Aug. 16, in the season opener. Italia Fields contributed 9 kills, and Alyssa Torres and Maria Schwindaman had 7 kills each for Penn. 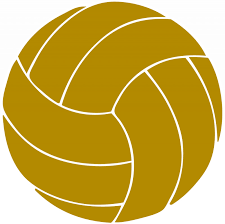 Rachel Hickey paced the Kingsmen with 14 digs, and Julia Beers had 10 digs. Penn’s home opener is Thursday against Plymouth. In junior varsity action, Penn beat NorthWood 25-23, 25-15. Molly Pooler, Bridget Weber, Jenna Weston and Ali Hickey had 3 kills each. Ryleigh Langwell had 10 digs, and Ally Hickey had 9 assists.